The ears are one of the most readily seen and prominent features on the face. Any irregularities, whether in size or shape, can dramatically throw off the symmetry of one’s face, causing low self-esteem or ridicule in school-aged children. At the Beverly Hills Center for Plastic & Laser Surgery, Dr. Ben Talei, a dual board certified facial plastic surgeon offers a host of ear surgeries that can restore a natural look and balance to the face. Ear surgeries are generally minimally invasive procedures with very little to no downtime. Once the ears have reached full growth and the cartilage is ready, ear surgery can easily be performed. This generally happens between the ages of 5 and 6 years old. Ear surgery is not a text book, one-size-fits-all procedure. Dr. Talei will need a consultation to more fully understand the issues with the ears and the patients’ goals with the surgery. From there, he will tailor each procedure according to the damage or deformity of the ear. 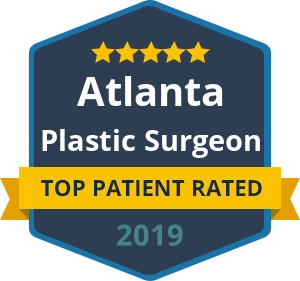 Dr. Talei holds dual fellowship training in facial cosmetic and reconstructive surgery and vascular birthmarks and congenital anomalies with laser surgery. This expertise, paired with his surgical skills and artistic eye, make him one of the most sought after physicians in his field. While ear surgery can have dramatic cosmetic results for patients, it does not affect the hearing of a patient in any way. Ear surgery can be done as one procedure or paired with other plastic surgery procedures to provide a fully rejuvenated and balanced appearance. Contact our ear surgery specialists at the Beverly Hills Center for Plastic & Laser Surgery today to schedule your consultation. We look forward to hearing from you.